Whilst you may believe that the final payment to an employee is tax-free, this must be made clear to the Taxman. A recent case shows what happens when things aren’t clear cut. What lessons can be learnt from it? Termination payments can be a benefit from a £30,000 tax free exemption. Rule of thumb. Damages for breach of contract e.g pay in Lieu of notice will benefit from the exemption but contractual payments will not, resulting in a tax and N.I bill for the employee, with employers’ NI on top. However this is not always clear cut..
Case Law. The importance of the exact used in a termination letter was considered in Redundant employee v McNally (HMIT) SpC400. So what lessons can be learnt? The employer stated that the employee’s employment was terminated with immediate effect on September 24th, the date of the termination letter and the date on which the employee handed in her security pass, mobile phone and laptop. The taxman , however, said that her contract expired later, on 23rd December, at the end of the three month garden leave period stated in the termination letter. Most of the disagreement turned on the termination letter. The first paragraph stated that the employment was terminated “with effect from today”. However, the third paragraph stated that her pay in lieu of notice would be paid monthly through the payroll. Further, the third paragraph stated she would not be required to attend the office but had to be available for work if required. The Special Commissioner found that: (1) in spite of the words in paragraph one, an ordinary and reasonable employee could not have understood the company had terminated the contract with immediate effect and without notice, when paragraph three referred to the contractual notice period; (2) by stating that the employee was required to be available for work during the notice period the company was enforcing the contract rather than breaking it; (3) the words “pay in lieu of notice” could support either construction although they are less apt in the context of continuing monthly payment. No complaints. The ability of the company to put the employee on garden leave was a term of her contract. Yes, it was a discretionary right, but the point of including such a provision was right if exercised, the employee could not complain. The employee agreed to take garden leave by signing the termination letter. So the payments she received from October to December were not compensation for breach of contract but salary whilst on garden leave. Luckily you can avoid this happening to you by taking some simple steps. Keep the termination letter short and to the point. Remove the employee from the payroll immediately and issue a P45. Remember that so called “garden leave” is taxable for you and the employee, so think twice about formally insisting on any attendance at the office after termination. Keep termination letters nice and simple so that the taxman can’t interpret them. Take the employee off the payroll immediately and remember that garden leave is taxable salary not part of a compensation package. 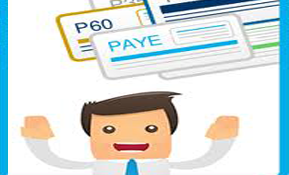 Outsourced Payroll Services: Can’t we forget about all that paperwork? You have a need for casual labour. Although there’s been no shortage of people offering their services on a daily basis you’ve shied away because of all the formalities involved. Is there a way through the red tape? For a variety of reasons, your business is short on labour. The good news is there’s no shortage of people knocking on your door offering their services on a casual basis- a day or two at a time. But you know how fussy the Taxman is and when it all boils down you can’t really be bothered with all that form filling and deductions from pay. But there is still that big order to get out……………..Is there a way past the Taxman? Forms. Actually, if you’re careful, the rules aren’t nearly as onerous as you might think. If you employ someone for a week or less (and they earn less than£102), there’s no need to complete a P11. There is also no need to submit a P46. You do need to check name, address and national insurance number to identify them, e.g. with their passport. Everyone aged 16 should have an n.i number. If they forget it and say “don’t worry I’ll bring it tomorrow”, and of course you don’t see them tomorrow, you shouldn’t have any problems with a PAYE inspector. Irrespective of the number of days worked in a week, if the casual is paid more than £102 per week then PAYE tax and NI must be deducted and you will have to pay employers’ NI too. For certain types of work this kind of money could be earned in a single day. Tip 1. For the absolute minimum of fuss, employ casuals for no more than one week and pay them less than £102 in total for that week. Tip 2. Don’t forget the minimum wage (£6.08 per hour for adults aged 21over and £4.98 aged 18-20yrs. This means that if casual works for, e.g. four days and you pay them £102 in total, the maximum number of hours they can work per day is 4.2(102/4=£25.5/£6.08) In the case of 19-20 yr olds, this figure rises to 5.12 hours per day. If you need any casual to work more hours, with the result that pay will exceed £102 per week, then you will need to make sure that PAYE at the basic rate and NI is deducted. At the end of the tax year you’re required to submit a Form P35 declaring all PAYE and NI accounted for. It will be far too late to think about collecting it from the casuals then. 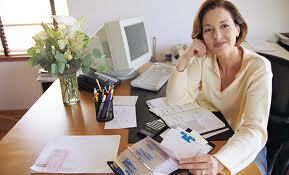 You should record casual wages even if not paid through your payroll (often it will be straight from petty cash). This is not the same as having to keep detailed records for your “on-the-books” employees. Simply enter the casual’s details in a cash book together with a brief description of the hours worked, the rate of pay and what they did for that pay. A signature against the wages given will help too but by no means obligatory – don’t be surprised at all if some casuals show a marked reluctance to sign anything! This paperwork is simply to show why no tax/NI was deducted – just in case the inspector calls. Tip. It’s far easier to maintain the basic record on a contemporaneous basis. Trying to patch something together at the last minute may well arouse suspicion. I was recently taken back when a friend of mine told me they had been having problems with their in-house Payroll Department. HMRC written to my friend with a £2200 tax bill for underpaid tax and NIC. Quite distraught my friend looked to Griffin Payroll Services for some advice. It became evident that a dispensation had not been applied for business incurred expenses and that thousands of pounds of expenses had been added to his P11d that was unnecessary. If a 2nd telephone line is provided in your home by your employer and paid for by your employer there is no need to report this as an expenses. There are a number of expenses that you can apply for a dispensation for that allows certain expenses not to be reported to HMRC using a P11d. Please see the HMRC web site. Once the notice has been granted, dispensations last indefinitely. However, HMRC reviews them regularly up to five year intervals or less. What systems do you need in place? the amount claimed is within the company’s policy and HMRC guidelines. The claim does not include disallowable items. Sometimes it is not possible for an independent person to check the expenses as they may be the sole director and employee of the Company. If so then please ensure receipts for the expenditure are retained and can demonstrate that the expense relates to a business expenditure covered by the dispensation. It’s very important that you have checked which expenses can be included in a dispensation before you start to complete the online application, as you can’t save your progress once you’ve started and return to it at a later time.